Doug Gross, writing for CNN, tells us that Online comments are being phased out. 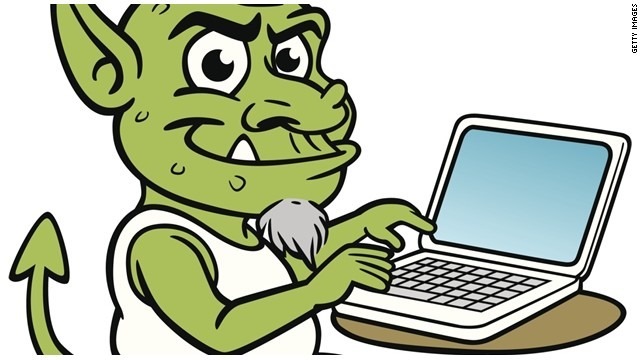 Online "trolls" and the emergence of social media are mentioned as reasons sites are abandoning comments. [An announcement by Re/code] was just the latest in a recent wave of prominent websites removing or significantly scaling back their comment sections. Reuters, Popular Science and the Chicago Sun-Times have recently nixed comments. "As the news arm of a 141-year-old science and technology magazine, we are as committed to fostering lively, intellectual debate as we are to spreading the word of science far and wide," read a Popular Science post from last September. "The problem is when trolls and spambots overwhelm the former, diminishing our ability to do the latter." Other websites have opted to moderate comments more strictly rather than disable them altogether. At CNN, comments on most stories were disabled in August. They are selectively activated on stories that editors feel have the potential for high-quality debate — and when writers and editors can actively participate in and moderate those conversations. Despite our best efforts to contain them, trolls are a persistent group and keep managing to slip through the gates. It takes some effort and a lot of cooperation by everyone. Online comments are working well. Most comments appear instantly with no requirement for logging or typing in patterns of letters seen in an image in order to prove we are not spambots. Without online comments this blog would be pointless.